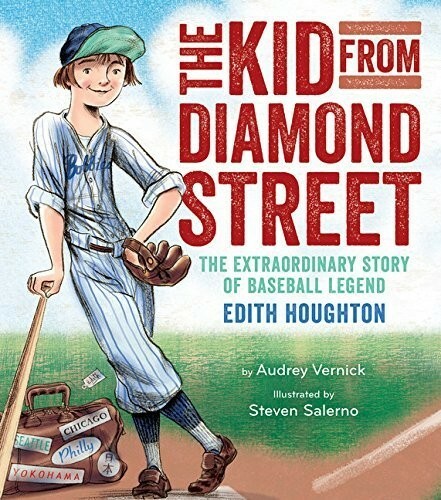 Beginning in 1922, when Edith Houghton was only ten years old, she tried out for a women's professional baseball team, the Philadelphia Bobbies. Though she was the smallest on the field, soon reporters were talking about "The Kid" and her incredible skill, and crowds were packing the stands to see her play. Her story reminds us that baseball has never been about just men and boys. Baseball is also about talented girls willing to work hard to play any way they can. 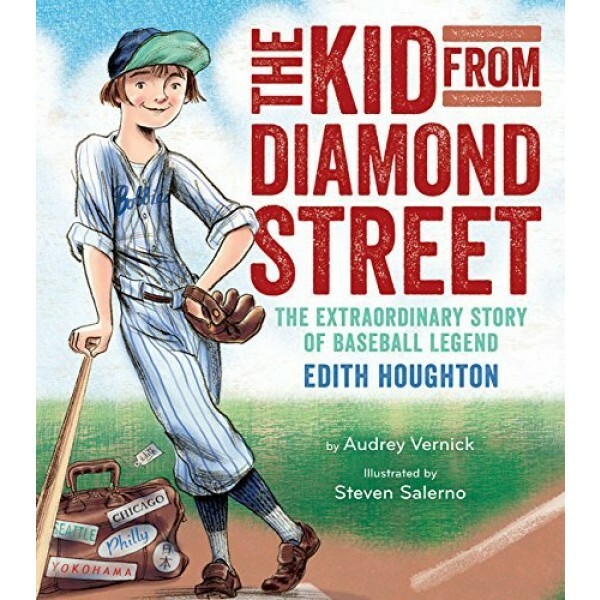 Audrey Vernick and Steven Salerno have again collaborated to bring us a captivating picture book about a compelling but little-known piece of baseball history.